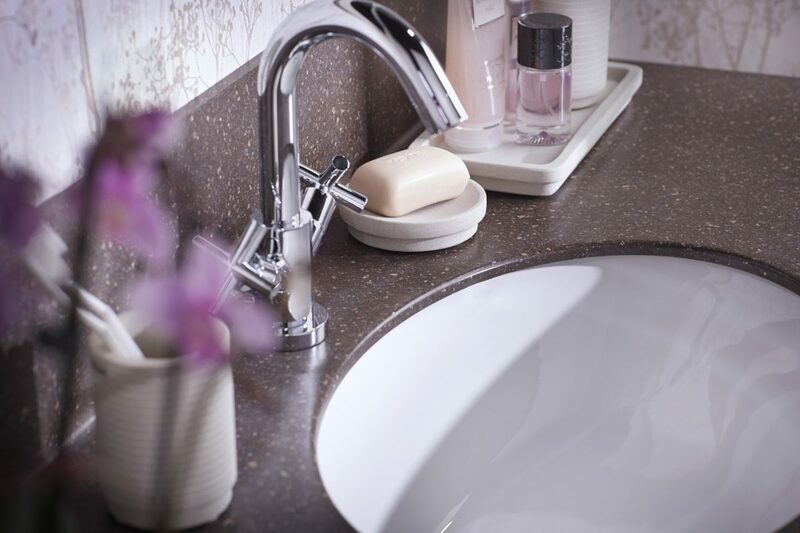 When planning for a new bathroom, the majority of us start by choosing the basin. After all, it’s the focal point in the room and ultimately the starting place to design everything around. Before bathroom furniture was widely available, options were limited to a basin and pedestal. Now however, in the fashion conscious world of interiors that we live in, there are a lot more basins to choose from. These modern options, all designed to be compatible with furniture give homeowners so much more choice than ever before. Sometimes though, too much choice can be a bit overwhelming! With terms such as ‘semi-recessed’, ‘slabtop’ or ‘sit-on’, planning for a new bathroom can be a mind field! 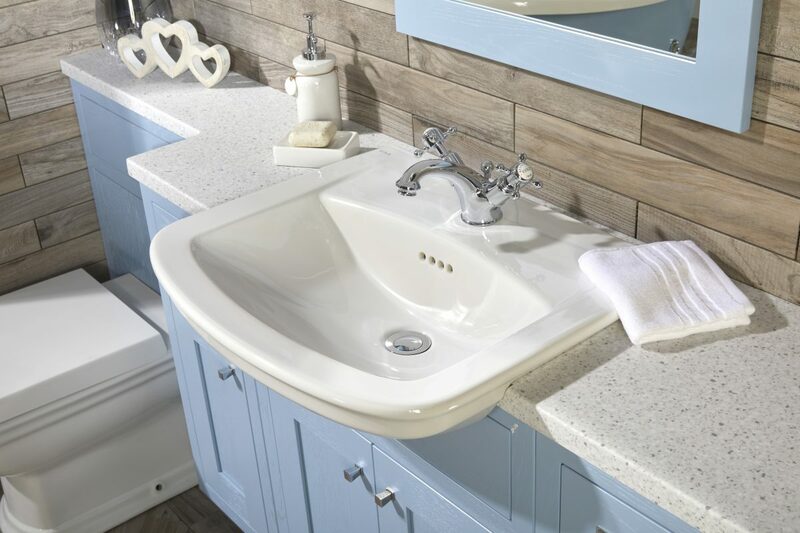 Our independent bathroom showrooms have dedicated designers to guide you through the planning process, including what type of basin will suit. 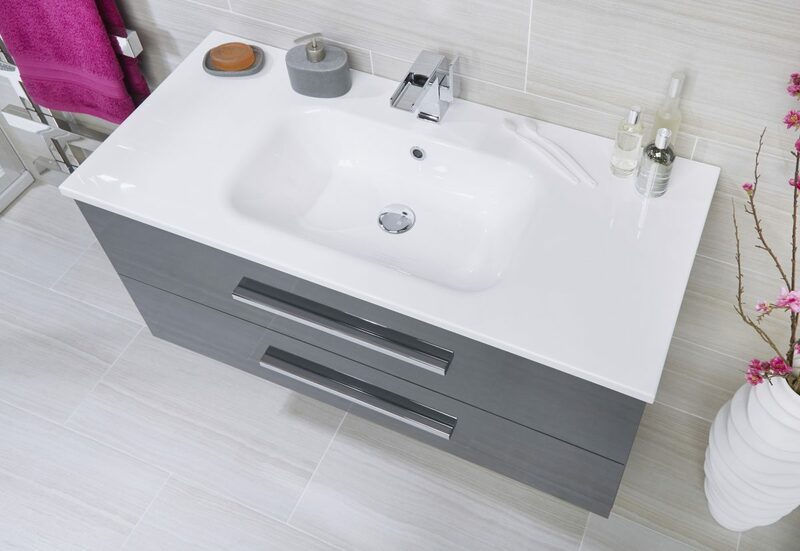 At Vanity Hall we offer a wide selection of basin types, all designed to work perfectly with our furniture. An undermounted basin sits under the worksurface. Ideally the worktop should be a non-porous material such a Corian® as there is a slight lip on the inside of the bowl and this is a prime place for water ingress. Very like an undermounted basin, this type differs slightly. It is finished into the worksurface by hand to offer a seamless join, which is very easy to keep clean. This type suits an extra deep vanity unit, or reduced depth furniture. 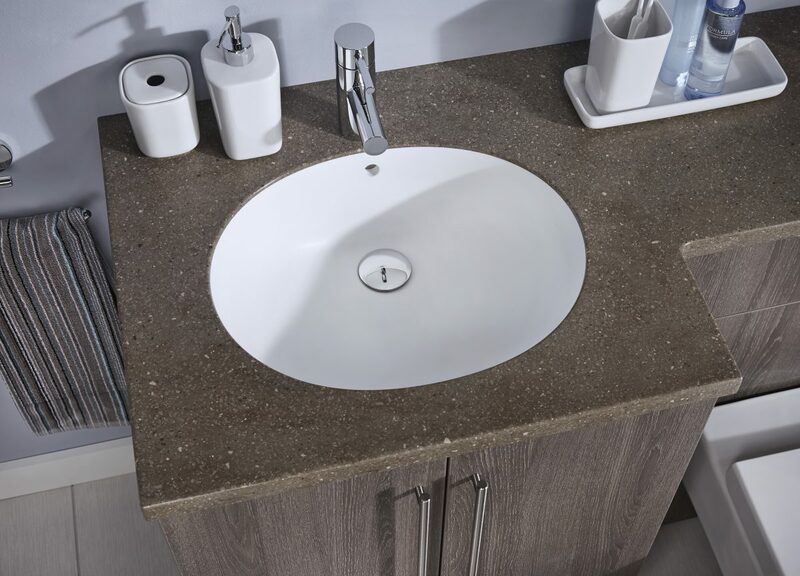 With sleek looks, stylish design and additional surface storage areas to one or both sides of the bowl, a slab top basin is the perfect choice with wall hung furniture. Choose from an acrylic or ceramic slabtop, but as a rule of thumb, a ceramic version tends to be deeper. 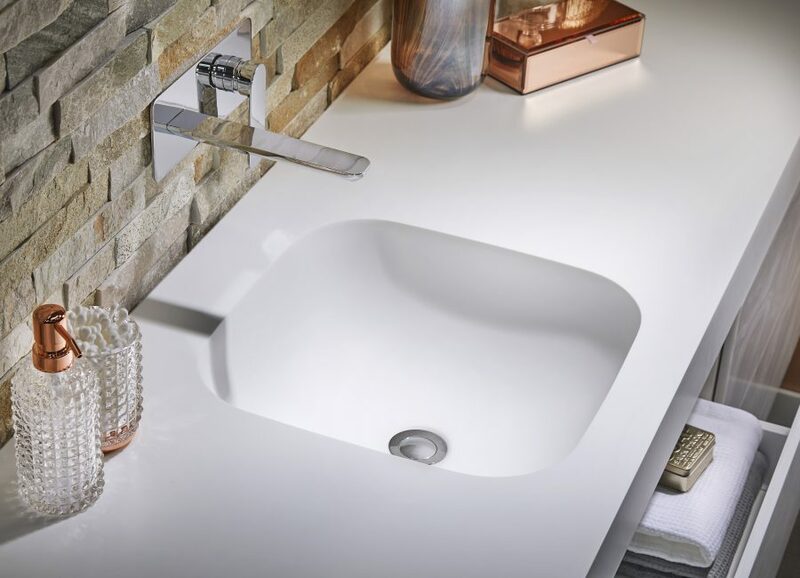 Designed specifically to work in conjunction with furniture, a semi-recessed basin fits into the worktop and flush against the top fascia of the furniture. It’s an ideal choice with fitted furniture as it doesn’t compromise on storage space or available worktop area. These basins are formed using heat and a mold to shape the internal structure of the basin. With their designer looks they look fabulous with wall hung units and are made from acrylic. This modern basin style takes inspiration from a bygone era. Long before modern day plumbing was invented, these bowls sat on a dresser in the bedroom. 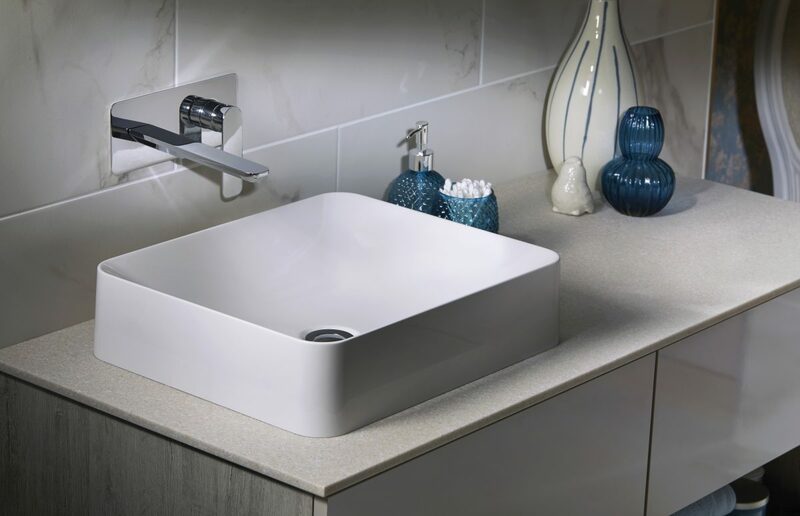 Sit-on basins as we know them today are available in a range of shapes, sizes and materials. Typically they tend to be used with wall hung furniture. Equally they can look at home in a more traditional bathroom. 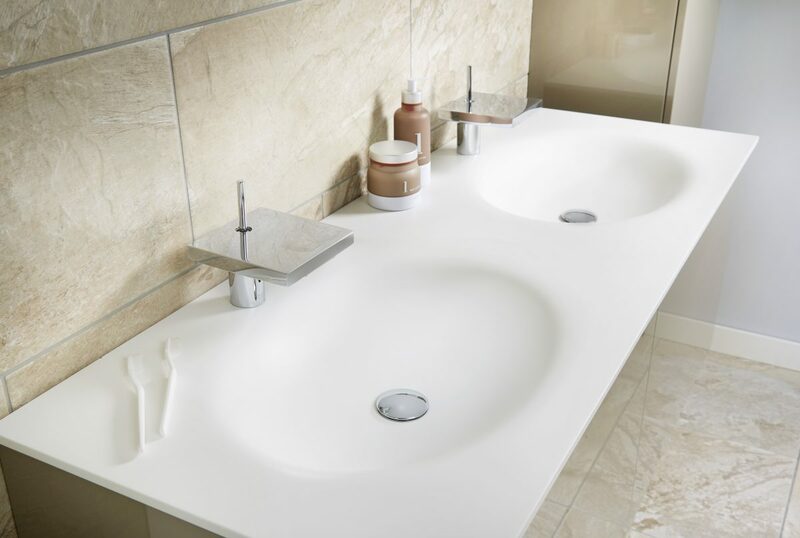 Why not visit your nearest Vanity Hall showroom to discover which basin type will work in your new bathroom?